This contemporary loveseat from CorLiving celebrates style and comfort in a modern design. This finely upholstered sofa delivers reliability through the durably crafted wood frame. Generous foam and fibre batting cushion provides the ultimate in comfort. The four sturdy legs give the sofa grounded stability and the padded, slightly angled backrest makes it a treat to lean back and relax in style. The removable backrest allows this sofa to be more easily moved through door frames. This delightful Traymore, 3 pc sofa set was designed with the greatest comfort and style in mind. Feel the high density foam cushions the moment to sit down. A perfect place to curl up with a book or watch TV with the family. Solid wood frame and legs offer the best support for long lasting use and the removeable back cushions make it easy to clean. Purchase on its own or apart of the full set. 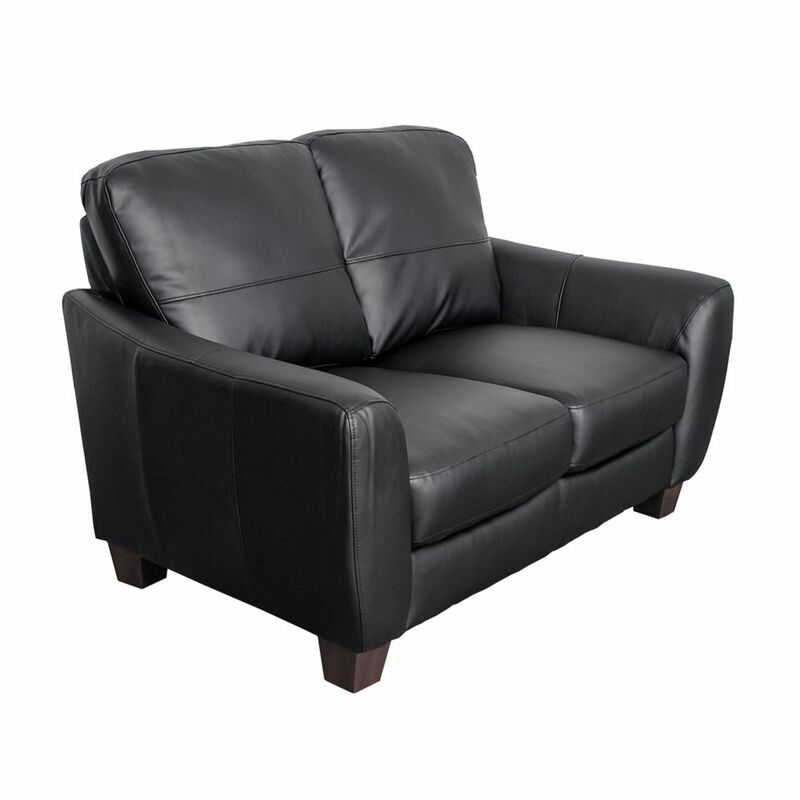 Jazz Black Bonded Leather Loveseat This contemporary loveseat from CorLiving celebrates style and comfort in a modern design. This finely upholstered sofa delivers reliability through the durably crafted wood frame. Generous foam and fibre batting cushion provides the ultimate in comfort. The four sturdy legs give the sofa grounded stability and the padded, slightly angled backrest makes it a treat to lean back and relax in style. The removable backrest allows this sofa to be more easily moved through door frames.